S 382 x 500px 0.5 Mb. M 764 x 1000px 2 Mb. L 1529 x 2000px 8 Mb. XL 2832 x 3705px 15 Mb. 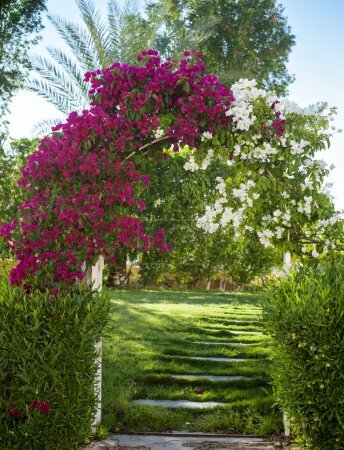 Arch of pink bougainvillea flowers.